There are many ways to classify CNC tools. 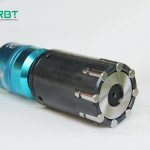 According to the structure of the cutter, it can be divided into: (1) integral type; (2) mosaic type, using welding or clamping connection, the clamping type can be divided into two kinds: non-rotating and indexing; (3) special type, such as composite cutter, shock-absorbing cutter, etc. According to the materials used in cutting tools, they can be divided into: (1) high speed steel cutting tools; (2) cemented carbide cutting tools; (3) diamond cutting tools; and (4) other cutting tools, such as cubic boron nitride cutting tools, ceramic cutting tools. 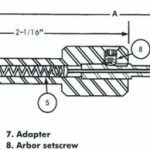 From the cutting technology can be divided into: (1) turning tools, divided into outer circle, hole, thread, cutting tools and so on; (2) drilling tools, including drills, reamers, rooller burinshing tools, taps and so on; (3) boring tools; milling tools. In order to meet the requirements of NC machine tools for tool durability, stability, adjustability and replaceability, clamp indexable cutters have been widely used in recent years, reaching 30%-40% of the total number of NC cutters and 80%-90% of the total metal removal. ← Précédent What tool is used for chamfering holes?